Welcome to The Snuggling Doodle Bakery! 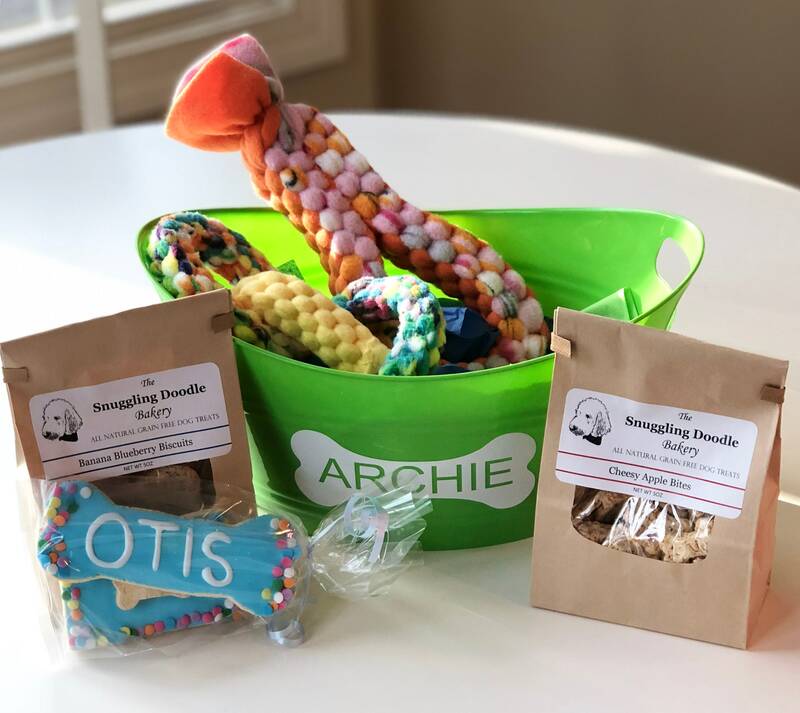 We create HOMEMADE, ALL NATURAL treats for our four- legged friends. 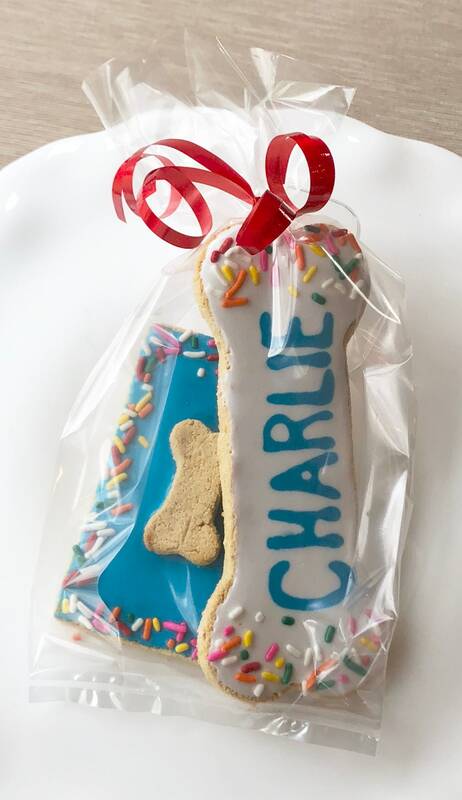 *Large 5" PERSONALIZED Bone Shaped Cookie w/coordinating "Birthday Cake" treat - available in your choice of colors. 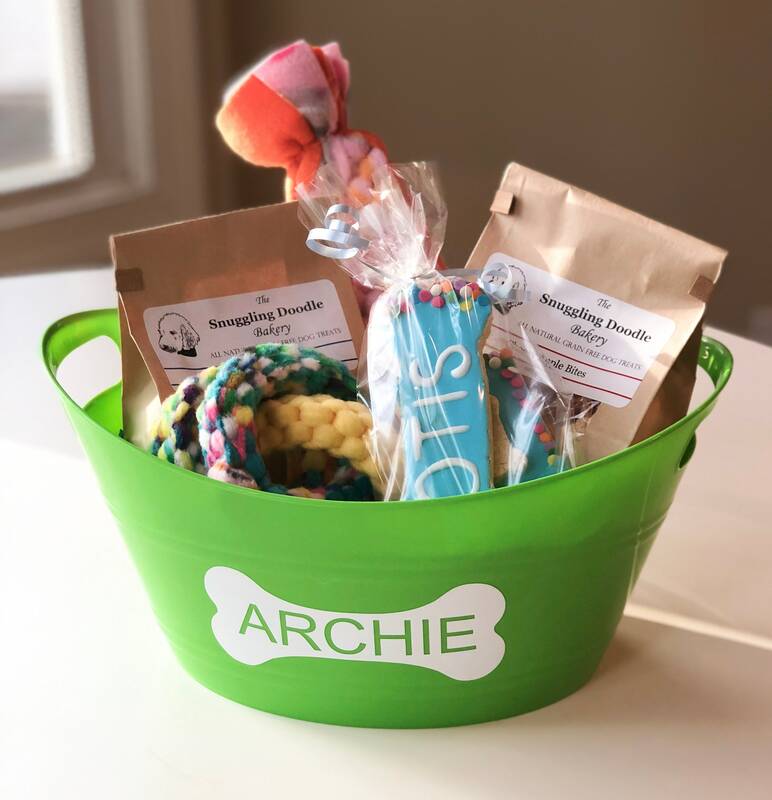 *Items are packaged in a PERSONALIZED plastic tub (great to store your dog's toys year round!) 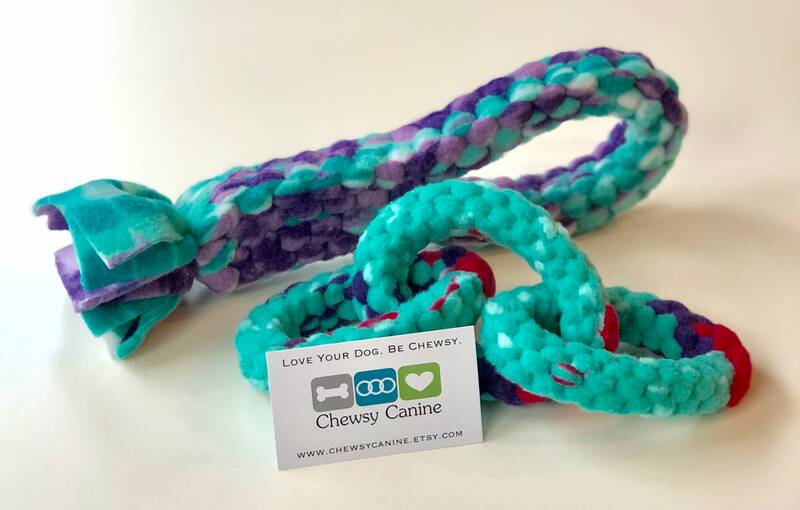 Colors may vary from pictures shown but will reflect the gender of your pet. All of our treats are GRAIN FREE and great for pups with allergies. They are dehydrated to prolong their freshness. Please store in an air tight container. We can customize baskets for any holiday or occasion - just ask! We can also add any of our other goodies to make this basket even better - brownies, doughnuts, cupcakes, etc. ***Please include your pet's name, color preferences & your choice of signature treat flavors at checkout.